How many circles of Hell does Gage & Tollner have to pass through alongside the cavalier Virgil that is the New York Real Estate Market before it attains redemption? First it suffered being a TGI Friday's, draped in red and white. Then it became an Arby's, it's landmarked interior ignored by fast food fans. Now it isn't even a restaurant of any kind. It transformed into a gaudy cut-rate jewelry store, the kind that, you know, exclusively carries crap. You can barely see any of the timeless, gaslight interior, what with those screaming pink partitions. Only the chandeliers remain on view. The store was ordered by the Landmarks Commission last summer to apply "for permits to keep the partitions or risk be fined up to $5,000 and then potentially additional penalties of up to $250 a day that the temporary paneling remains. Sources said the city wants the partitions removed." Well, the partitions are still there. So I guess they got their permits. And now, it looks like Gage & Tollner may soon be vacant again. 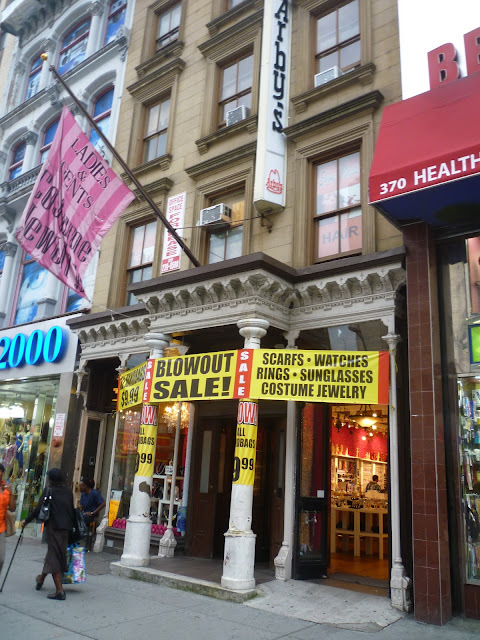 The building is covered with garish yellow "Blowout Sale" signs. It doesn't say "Going Out of Business" or "Everything Must Go," but you never know with this cursed space. Frankly, I'd rather see it empty than filled with those junky costume baubles. It's been a bad summer for New York signage. Jiffy Cleaners in Ridgewood, Queens, is the latest old business to trade in a unique, charming piece of original signage (above) for a new, normal, boring and utterly anonymous plastic awning (below). How is it that business owners don't realize the distinction afforded them by great old signs? Not everyone has one, you know. Do they really think a new, but ordinary, awning (which will look dirty and old in six months time) will bring them more business? Are there studies that prove this? Jiffy's been around for nearly 50 years, FYI. With all due respect to Woodside, Queens, there aren't many reasons to visit this unlovely neighborhood. The Stop Inn is one. The Station Cafe dive bar is another. Top of the list is Donovan's Pub, which could easily be called the most Irish Pub-y Irish pub in the five borough, and one of the best, too. It's got a great outside. It's got a great inside, with a sunken dining room and a working fireplace. And it may have the best burger in New York. 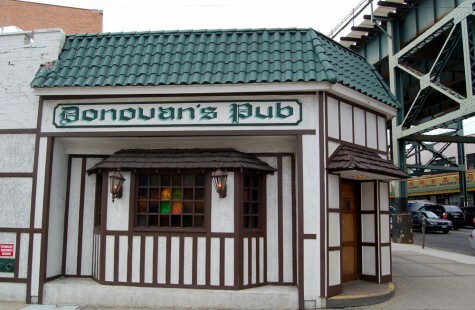 Bad news comes from Sunnyside Post that the site of Donovan’s Pub is up for sale for $3.2 million and "its future as a business is up in the air, according to a real estate firm that is listing the property." Joe Donovan, who is in his late 70s, is selling. 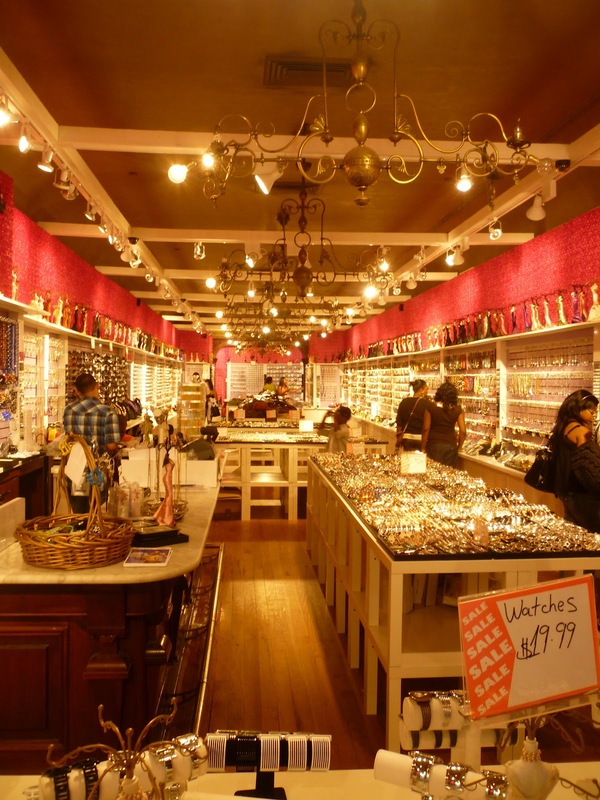 According to the ad, the buyer will be acquiring the property with two retail operations–a dress shop and Donovan’s. However, as part of the terms of the sale, the pub will be left vacant. So, is Woodside without Donovan's worth visiting? I'm not so sure. The one and only. In Harlem. Carmine Merlino, "creator of fine men's hairpieces and ladies wigs," operates out of a funny little triangle of a storefront that occupies a narrow wedge of Emmons Avenue in Sheepshead Bay. His business is two stories tall, though both stories seem to be about as wide as a airplane bathroom. Merlino has a lot of amusing signage. He calls his business a "Hair Replacement Studio." He boasts of a signature creation called "The Fantastico," which is "featherlight and undetectable." ugly stik, rouge, st Croix, star rods, plasma rods by star , shimano, tica, tsumani, seeker. Last summer, I discovered the Sheepshead Bay oddity Delmar Pizzeria, which, perhaps alone among the city's pizzerias, proudly declares itself as specializing in white pizza. The joint, founded in 1957, was closed when I first came upon it. The other day, however, I found it open and finally tasted the white slice. It was more expensive than a regular slice by 75 cents, costing $3.25. Though I'm not a big white pizza fan, I'd say it was worth it. The flavors were layered and very subtle. There was art there. 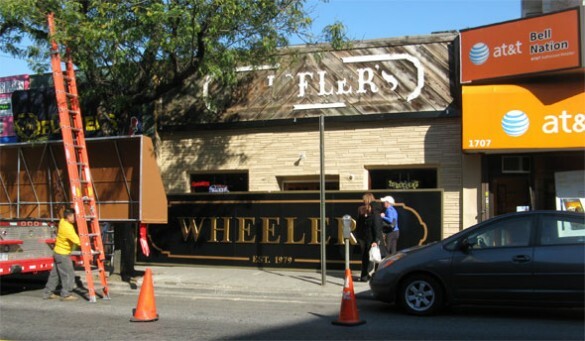 I was passing by Wheeler's, the dyed-in-the-wool-Sheepshead-Bay dive, and noticed they had acquired a shiny new sign, and had ditched the former, weather-beaten, wooden sign, which I always thought was redolent of the neighborhood's seaside character. Also, the new sign shows the tavern is becoming aware of its age—never a good sign where an old bar is concerned. The self-conscious "Est. 1979" doesn't suit Wheeler's or its clientele. Found the photo below of the sign switch on SheepsheadBay Bites. Some police precincts are luckier than others. Many of New York's Finest have to inhabit a graceless bunker day in and day out. I'm thinking of awful modern concrete police buildings like the 76th Precinct on Union Street in my own Carroll Gardens. Other officers, meanwhile, get to report to work every day at a castle. I haven't done one of these "A Perfect Storefront" features in a long while. But as I passed Park Slope's Leopoldi True Value Hardware on Fifth Avenue in Park Slope, I thought it certainly justified an entry. What is it about old New York hardware purveyors that makes them want to take up every inch of facade space of the building they occupy? I see it again and again, most notably with the sprawling Bruno Hardware in downtown Brooklyn. It's a very 19th-century urge. I count six signs of various styles here. I guess the fact that Leopoldi didn't go beyond the second floor should be counted as a sign of restraint. Still, despite the riot of colors and fonts, the overall feeling is very harmonious, very lived-in. The cloth awning helps soften the effect. 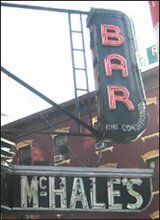 The place has been serving Park Slope since 1966. Currently, there are three generations of Leopoldis working in the store. In Tom's Restaurant, operating in Prospect Heights since 1936. Needless to say, like nearly all the phone booths in NYC now, it doesn't work. A chair blocks the entrance. 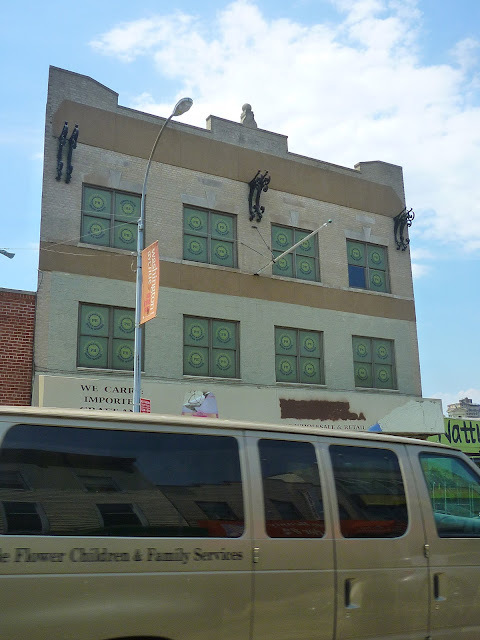 This building on Washington Avenue in Prospect Heights, Brooklyn—currently housing Prospect Heights Beer Works a home-brewers supply shop—caught my eye. It's an interesting shape (it's triangular, something you can't see in this photo) and then there are those three sets of large metal brackets at the top that appear to have no current use. 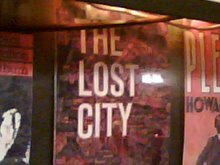 Lost City Asks "Who Goes to Piccolo Venezia?" "Who Goes There?" readers have been urging me to go to Piccolo Venezia for three years. I finally did earlier this month. I should have gone a lot earlier. This place is great (if too expensive). There are red sauce joints and there are red sauce joints. Some have atmosphere. Others actually have great food. Piccolo has great food. If I lived in the neighborhood, I'd go all the time. If I could afford it. The general feeling you get upon walking into the dining room of Piccola Venezia —Astoria's middle-of-nowhere outpost of Northern Italian cuisine—is of rampant happiness. "Hello! Welcome!" boomed the smiling maitre d'. "I like that hat!" The tables are surrounding by people who are are happy to be with one another, and have obviously congregated here before. There are a number of large round tables. One was surrounding by 13 members of an extended family celebrating a birthday. Another next to it hosted a group of eight former high school pals, now all middle-aged. At a four-top, four graying old men leaned forward over full glasses of red wine, filling each other in on the recent events in their lives. The wine bucket near them, full of empties, betrayed that they, like many other, knew the restaurant as a destination for those who follow Wine Spectator. The wines are a relative bargain here. The food is not. Prices on most every entree soar above $25. But that doesn't stop the patrons from ordering heaps of seafood, a specialty here (name your fish and tell them how you like it—they'll prepare it), and osso buco, which my waiter and the owner told me was the best in town. I haven't tried every osso buco in town, but I'm going to go with them on this one. The meat was unbelievably tender, the sauce deeply flavorful, and the big, Trieste-style gnocchi peerless. It was $33, and it was worth it. The waiters, who wear black pants and red vests, proclaim their experience through their careworn faces. These are career men. Some were very likely hired on when Ezio Vlacich opened the place in 1973. A native and tireless booster of Trieste ("The best food in Italy! A little Italian, a little Austrian, a little German! "), he still oversees the service. Dressed in suit and tie, Vlacich visits every table, whether occupied with regulars or strangers, to see if you're enjoying your self. Say something nice about Trieste, and he might kiss your hand. If you want to know exactly who goes here, all you have to do is peruse the hundreds of little gold plaques that line the chair rail around the room. Come here often enough and you'll get one. (I've seen this sort of homage at only one other NYC restaurant: Midtown's Pietro's.) 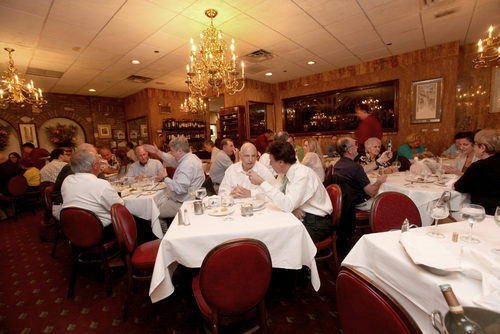 There are individuals (Eddie Goldblatt, Peter & Anne, Margie & Barry Forrest), clan names (The Rodin Family, The Welzs Family) and companies (City Ride Transportation Family, Julius Fine or Fine & Klein), indicating that this is a favored place for business meals. In the men's bathroom, a couple of guys from the round table of erstwhile high-school chums were rhapsodizing about the meal that just was. "I'm gonna say something," slurred the ringleader of the group. "Yeah?" replied his friend. "I'm gonna make a bold statement. Maybe the boldest ever!" "Yeah?" "We came here. We all came here and got together and we did it. We made it happen. Here. On sacred ground. This is sacred ground." Labels: astoria, piccolo venezia, who goes there? Lost Asks "Who Goes to Tom's Restaurant?" Finally got around to doing a "Who Goes There?" 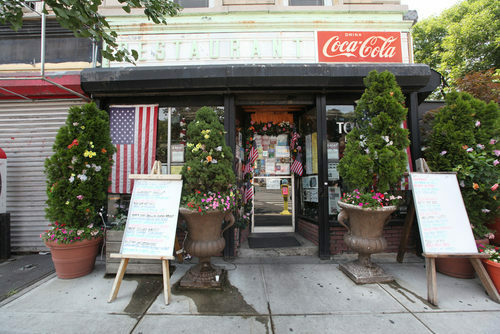 about the Prospect Heights classic, Tom's Restaurant. I am sitting in the morning at the diner on the corner. I wasn't waiting at the counter (I was at a table) or for the man to pour the coffee. I order a cherry lime rickey and it came pretty fast. I was at Tom's Restaurant, a landmark diner in Prospect Heights since 1936. It's the kind of place where people order cherry lime rickeys and egg creams, not to mention breakfast all day, because they can. Near my table was a framed picture of the lyrics to "Tom's Diner." At the bottom, Suzanne Vega had signed it, "I Came. I Saw. I Wrote." But she didn't. As much as I love Tom's Restaurant, and wish Vega's 1990 hit had been about it, the song was about Tom's Diner on The Upper West Side. You know, the "Seinfeld" diner. Vega herself has said so. So what's she doing giving Tom's Restaurant the credit? And what's Tom's Restaurant doing taking the credit? Curious. But you have to expect a little bogus myth-making at a place this old. It opened as Lewnes, an ice cream parlor. Tom Vlahavas took it over in the 1940s. He's the Tom of the name, though the diner wasn't called that at first. Son Gus took over for Tom, and Gus himself retired last year, moving to Colorado. Gus sold the place to a nephew, Jimmy Kokotas. So it's still in the family. There's a lot of stained-glass inside Tom's. I assume this is a relic from the place's ice cream parlor days. There are also great many flags, Christmas lights and plants, both real and fake. (One tree outside was planted in memory of old Tom.) 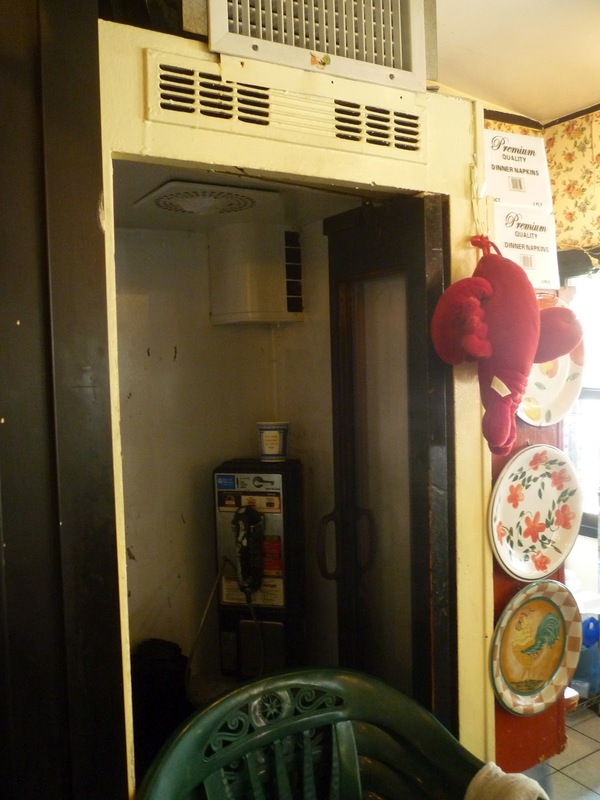 These circus-is-in-town factors tend to obscure some of the restaurant's lovelier architectural aspects—the lovely, battered tilework on the floor; the oddly constructed wooden booths, which somehow evoke train travel; the old, now sadly unworking phone booth. My waiter says people come from Manhattan and Queens to eat here. But it looked like mainly locals during my recent visit. Families with their kids, old folks with their spouses, young couples, solo diners (Tom's does not mind if one person takes up an entire booth), and small gangs of roving hipsters. Some have obviously been coming here for decades. Others were so new that they stared at their egg creams like they were archeological relics. A sign forbid the use of cell phones, some couldn't help themselves and resorted to texting. The staff is inordinately cheerful, and is happy to relate the joint's history and extol the virtues of the many, many dishes, particularly the enormous number of breakfast entrees. I almost ordered the Salisbury steak because, outside of frozen dinners, who serves Salisbury steak anymore? My waiter told me more meatloaf was sold than Yankee pot roast, but more brisket was sold than meat loaf. You can't argue with the people, so I go the brisket. It was diner brisket. Not bad, moderately flavorful, with fluffy mashed potatoes and fresh, crisp broccoli. It was worth what I paid, which wasn't much. Labels: prospect heights, who goes there? I've written about Brooklyn's old Knox Hat Factory in the past. The other day, I finally saw it with my own peepers. I was strolling through an industrial section of Prospect Heights when I caught the profile of a blocky, handsome, yellow-brick building. It looked familiar. As I suspected it was the Knox Hat Works, which was built in 1890 and now functions as an apartment building. It dominates the intersection of St. Mark's and Grand Avenue. At the time of its erection, it was purported to be the largest hat factory in the world, and they made every conceivable type of headgear here, from top hats to straw boaters to policemen's helmets. A Good Sign: Straus Paint & Hardware Co.
A fine old example of a paint and metal style sign in Astoria. 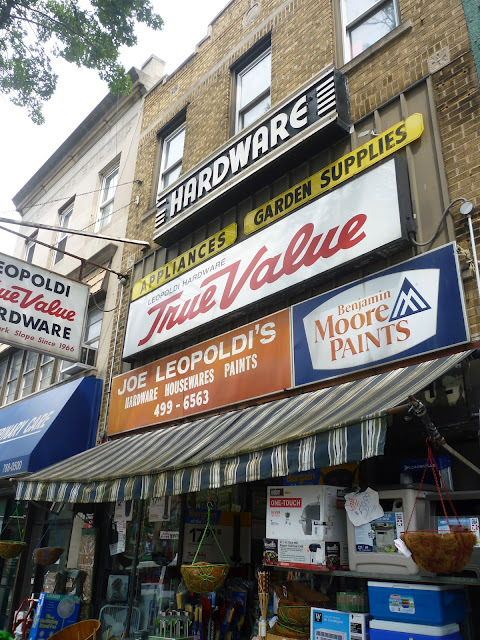 One of the old, family-owned hardware stores that many neighborhoods in the city still (thankfully) have one or two of. This one's on Steinway. It was founded in 1958. 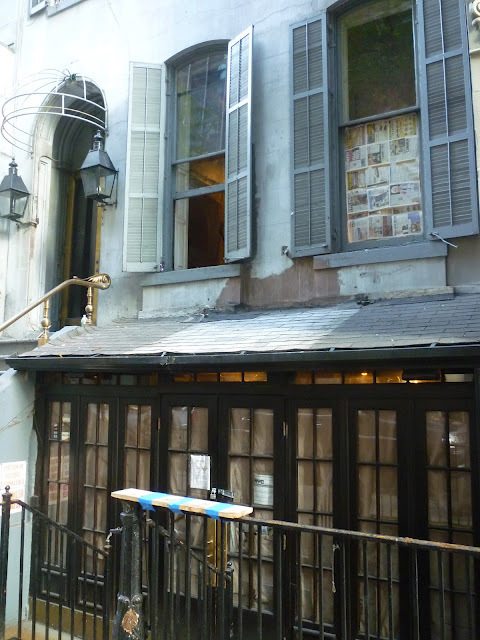 The New York Times confirmed some details in the sad saga of Bill's Gay 90s, the wonderful old 1920s New York saloon that was cashiered earlier this year when its landlord wouldn't renew its lease. One: high-end restauranteur John DeLucie is taking over the place. Two: DeLucie didn't get to keep all the atmospheric antiques that lined the walls; those went with the former owner. Said DeLucie: "We’re thrilled with what we’ve gotten and we’re even finding more cool stuff. And we plan this to be more of a restoration than a renovation to keep the spirit of the place." He added that all his restaurants are "places that have history." I think he meant "had." 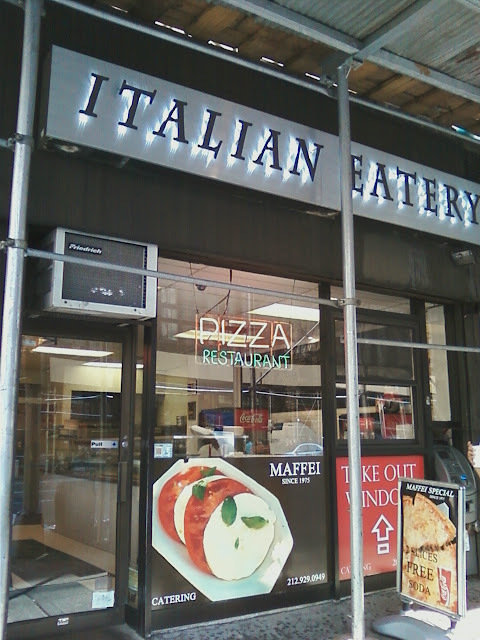 The Maffei Pizzeria holds down a second-tier spot in terms of New York pizza fame. It's not one of the immortals (Lombardi's, Grimaldi's, Di Fara, Totonno's, etc. ), but, among slice joints it's respected as a talented workaday practitioner, and is particularly well known for its Grandma slice. Since 1975, it's been hidden in place sight inside an ugly metal enclosure on the southeast corner of Sixth Avenue and 22nd Street. Recently, though, its fame has perhaps gone to its head. I recently noticed that it had shed its rough exterior for this chi-chi bit of anonymous signage. Who's Maffei kidding? It's not an "Italian Eatery." It's a pizzeria. I like the names of these Astoria bars. Sometimes just a slightly unusual handle can set an otherwise run-of-the-mill tavern off from its competition. Irish names for pubs are as common as water. But usually it's one name. The partnership of McCaffrey & Burke is something different. Sounds like a law firm, or a Vaudeville act. Lavelle's Admirals Club is even more distinctive. One, because of the name Lavelle. (Is that a first or last name?) Two, because of the Admirals thing. 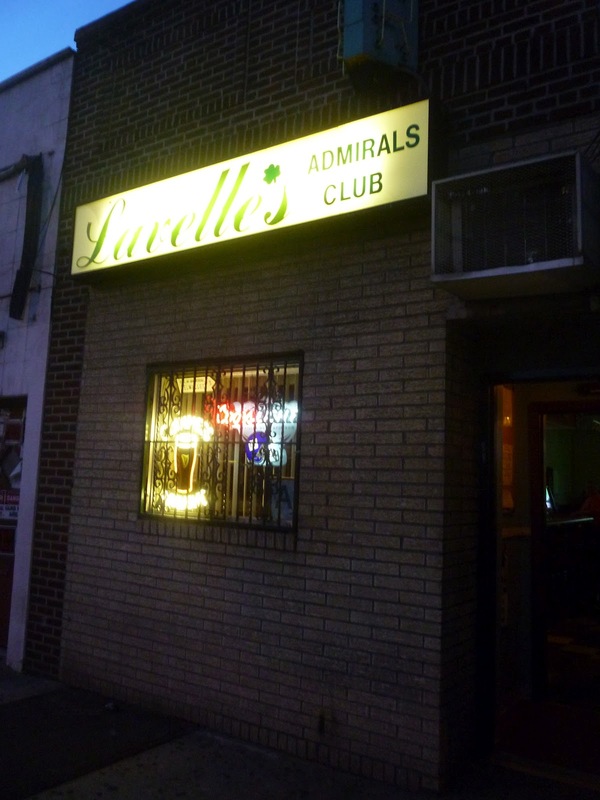 Is/was this a Navy hangout? A pilot bar? A home for fans of the Milwaukee Admirals? Manhattan has a lot of old hotels with great, storied names. The Waldorf=Astoria, the Peninsula, the St. Regis, the Carlyle, the Edison, the Warwick, the Roosevelt. (I still mourn the fact that the Stanhope converted to apartments before I got a chance to stay in it.) 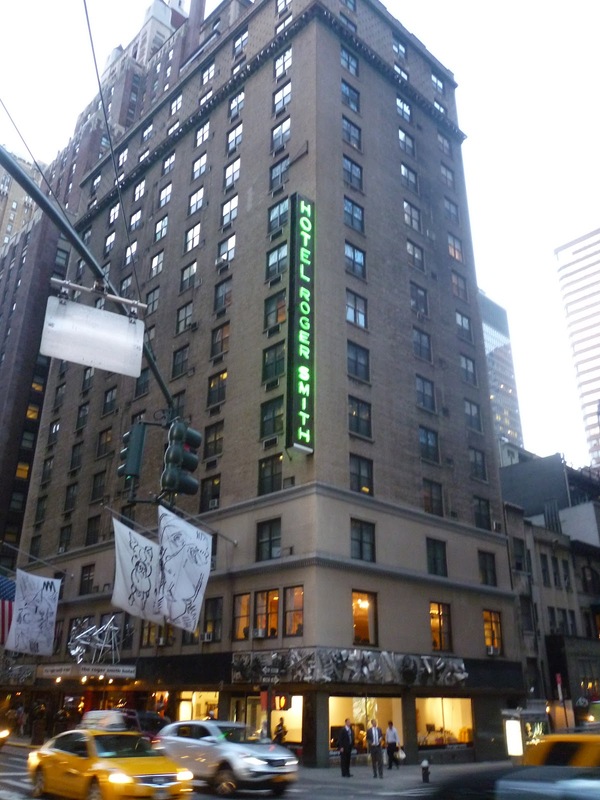 But my favorite of all may be the Hotel Roger Smith, a mid-sized, unassuming structure at 47th and Lex, convenient to Grand Central. I think I like the name because it's so odd. Who's Roger Smith?, I wondered every time I passed by the handsome vertical, green neon sign. Well, you know me. I don't tend to wonder about such obscure New York historical questions too long before I go off and try to find out the answer. As is frustratingly often the case in this City, the hotel's website tells you next to nothing about the place's history. Actually, completely nothing. A couple years ago, I discovered that hiding under the mundane facade of Crater Candy Store at the corner of 30th Avenue and 31st Street in Astoria were the remnants of a genuinely old shop. Under the dull plastic blue awning was the original lovely signage of the place. It's sad to see such old signs hidden from plain sight. But it's better than having them removed completely. 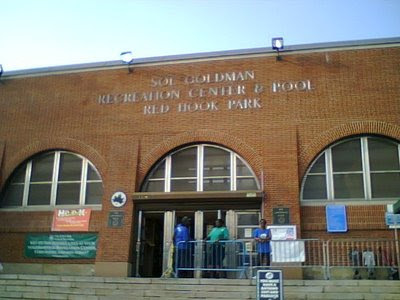 I love the Red Hook Pool. I hate the way it's run. I love it as an emblem of urban democracy; as a free source of recreation for Brooklyn's denizens; as a beautiful and opulent example of Depression-era civic generosity. I hate that all those great qualities are nearly choked to death by the staff's dunderheaded and blinkered execution of a ridiculously capricious and soul-killing set of admission guidelines. The pool's always been great. Getting in has always been the problem. The Parks Department has imposed a set of rules as long as your arm. If you're found in violation of one, you are sent packing, often after having waited in a long line in the blistering heat. Wearing sneakers and not flip-flops? Gone. Wearing shorts and not a swim suit. Gone. Have a beach ball, extra-large goggles, snorkel, floaties and any such water device? Forget it. Food? Not allowed. Newspaper? Nothing doing. Got a deck chair or stroller? Keep walking. Radio? Not allowed. Want to dive? No, you don't. Wearing a t-shirt any other color than white? Go home and change. And once inside, barely a second passes when one of the unsmiling junior dictators that have been hired as lifeguards isn't piping their whistle at you. I swear. Non-stop whistling. It's nuts.